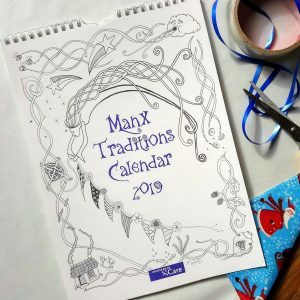 Annual calendars come in many forms, but there’s something a little different in the offing for next year with the release of the Manx Traditions Calendar for 2019 with all proceeds awarded to the Island based charity Crossroads Care. 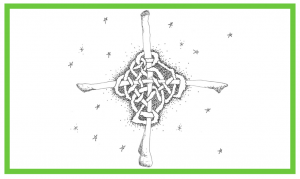 Designed and created by local artist and ceramist Felicity Wood, her designs are based on a number of Manx traditions throughout the year and her love of Celtic knot work, which she has developed into a modern style. 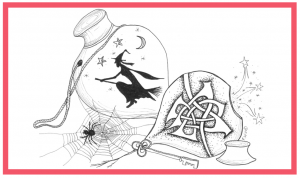 Felicity has been designing Christmas cards for Crossroads Care for the last fifteen years, but this year has added this delightful and informative calendar to her range. Crossroads Care is an independent Manx charity which provides support to all carers and individuals with care needs regardless of disability, illness or age, and is currently the leading provider of both practical and emotional support for carers living on the Isle of Man; with a view to improving the lives of carers. 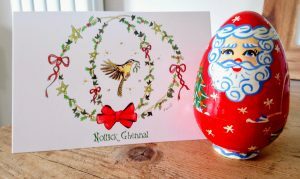 Calendars are priced at £5, with a pack of ten Christmas cards on a Manx theme, based this year on the annual event Hunt the Wren on St Stephen’s Day (Boxing Day) are available at £4 from all Crossroads outlets. Further information available at www.crossroadsiom.org.